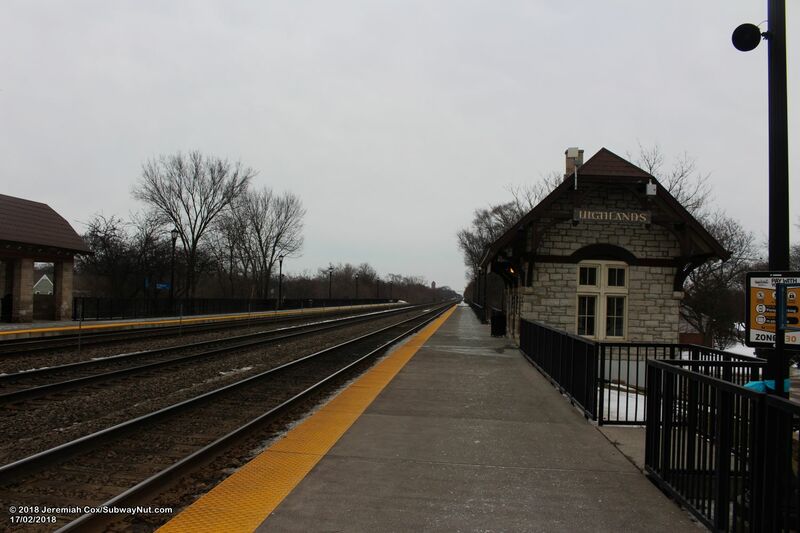 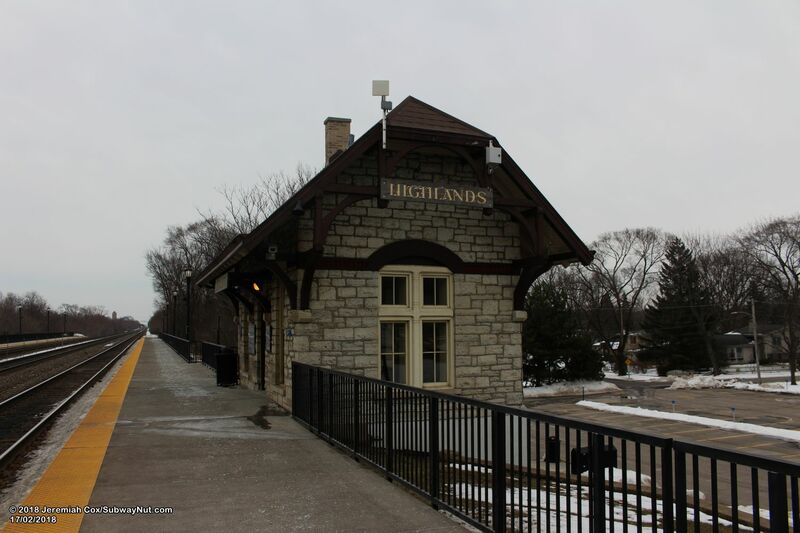 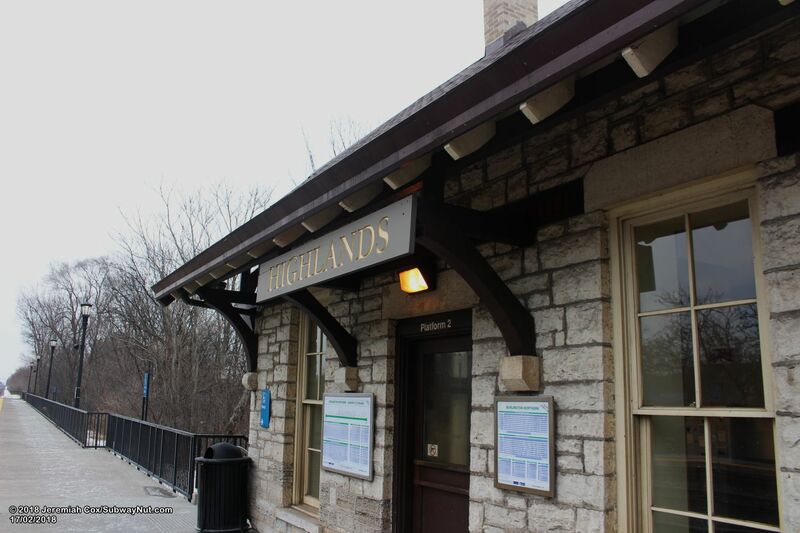 Highlands is a limited service, BNSF Railroad Station with only rush hour service. 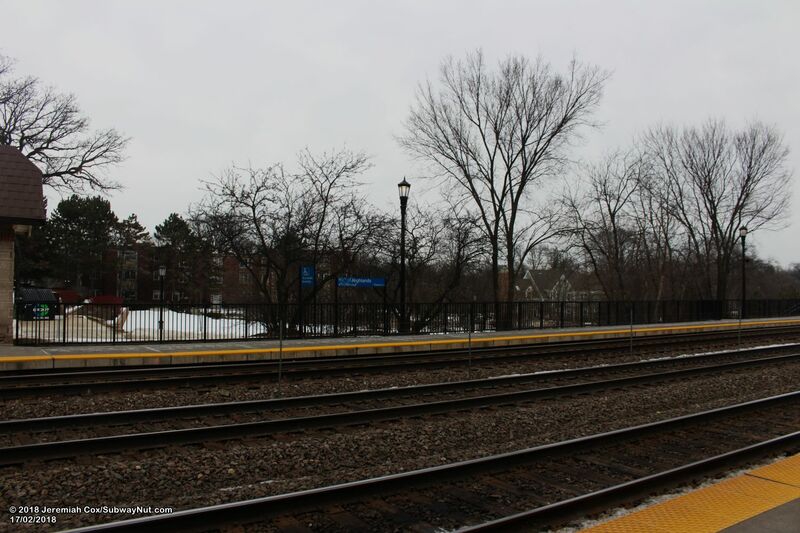 The station consists of two side platforms for the 3 track line, connected by a pedestrian crossing at the western end of the platforms, where all station access is towards. 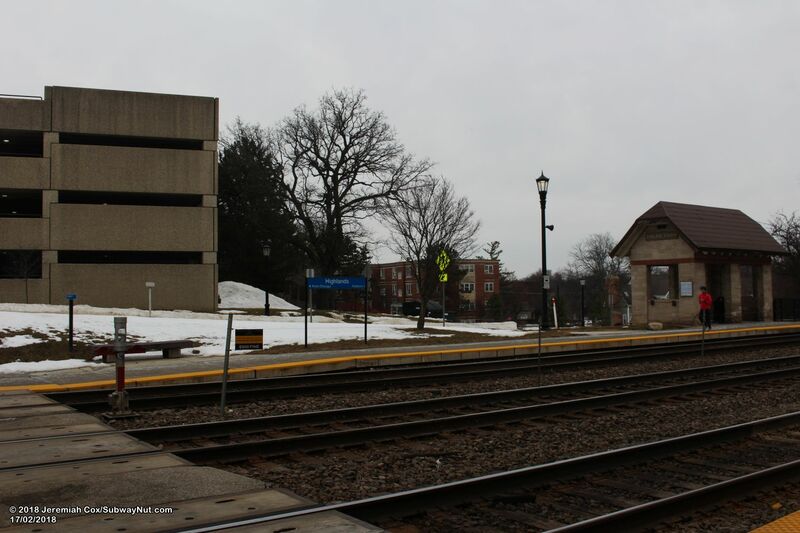 Oak Street crosses the tracks just west of the station. 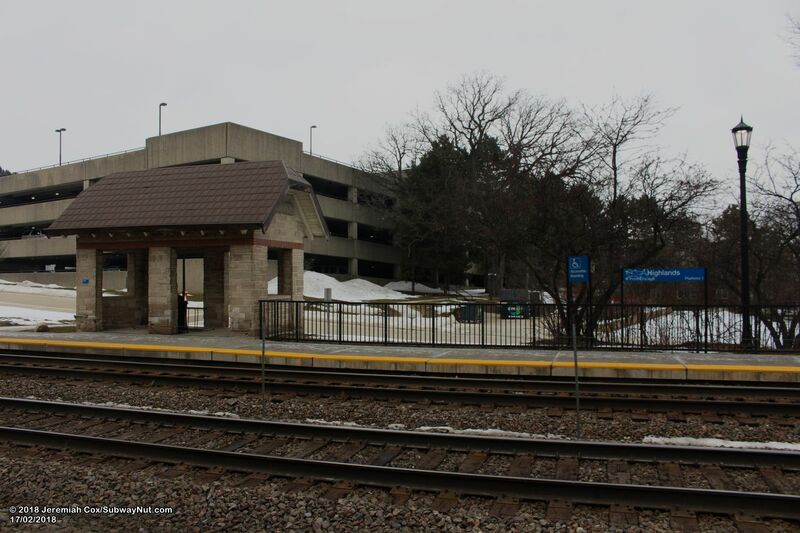 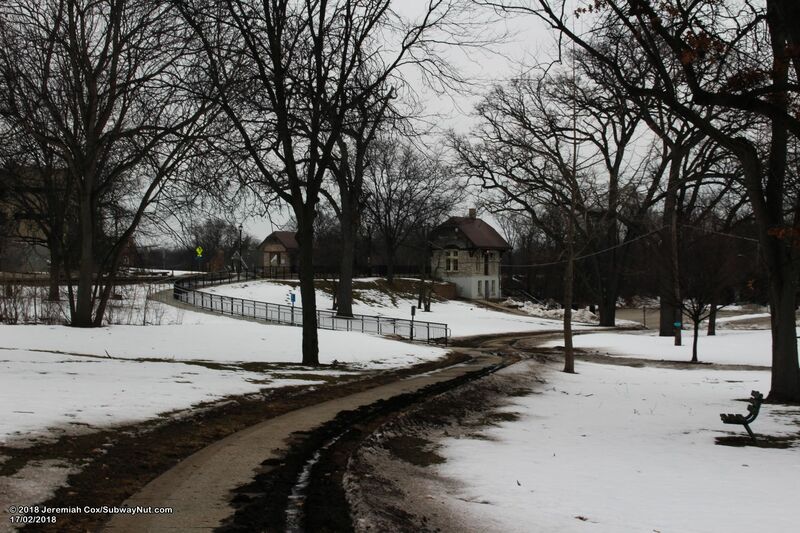 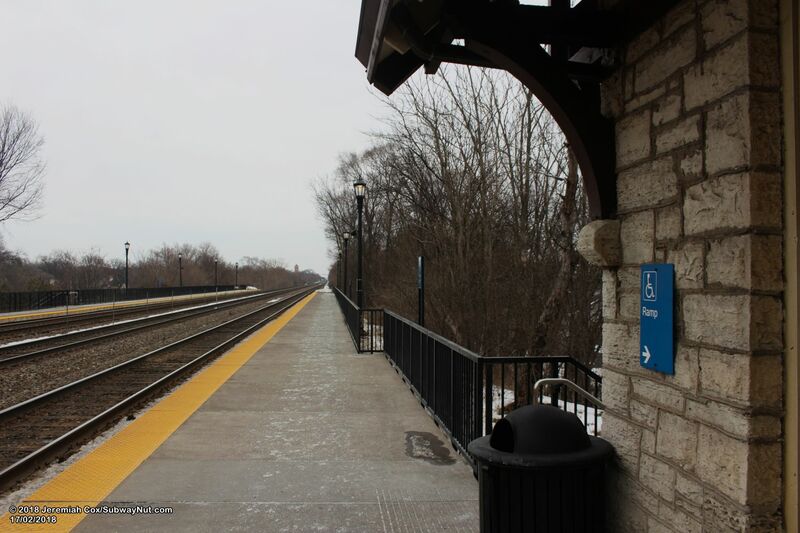 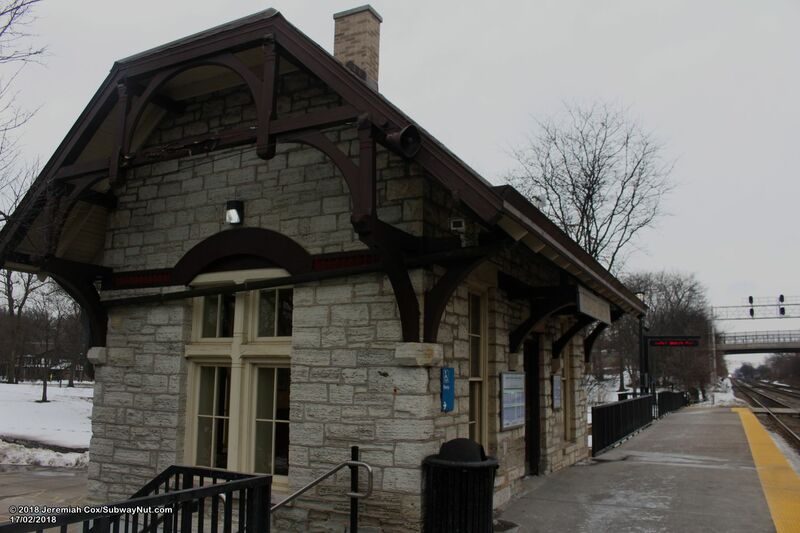 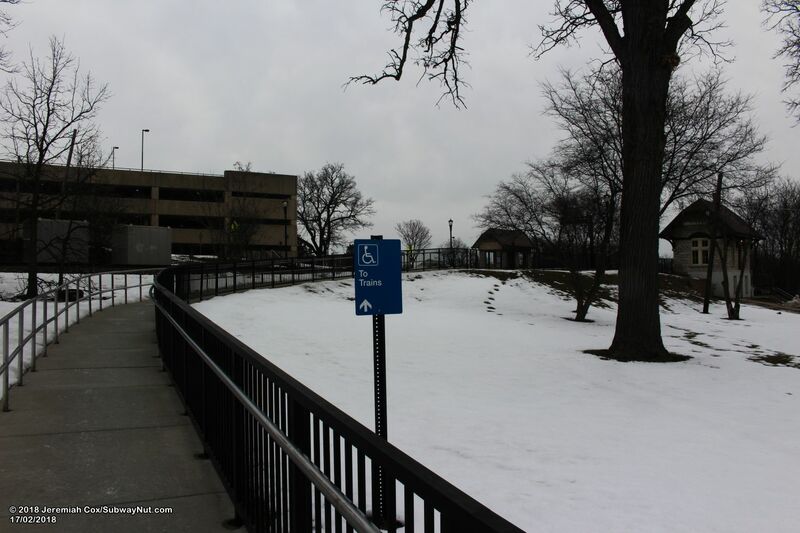 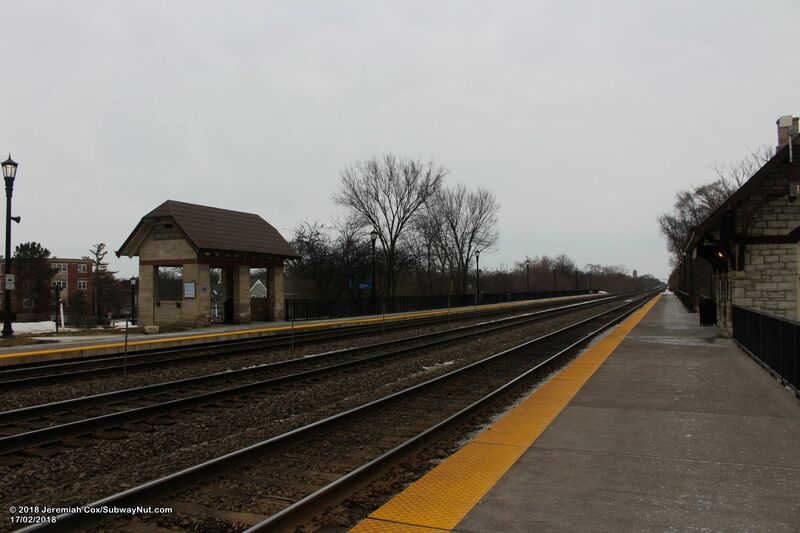 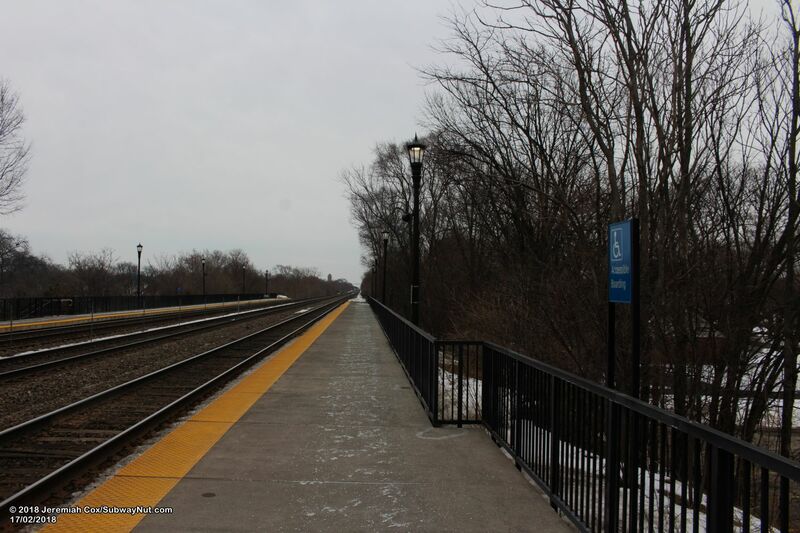 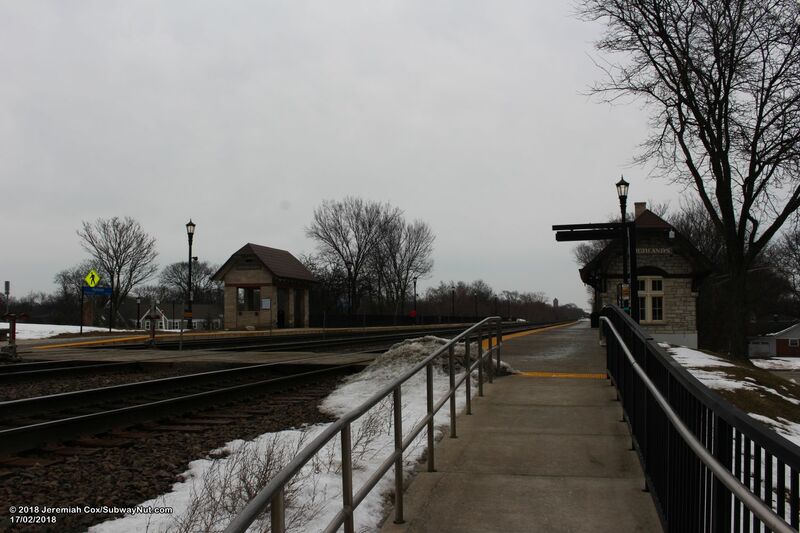 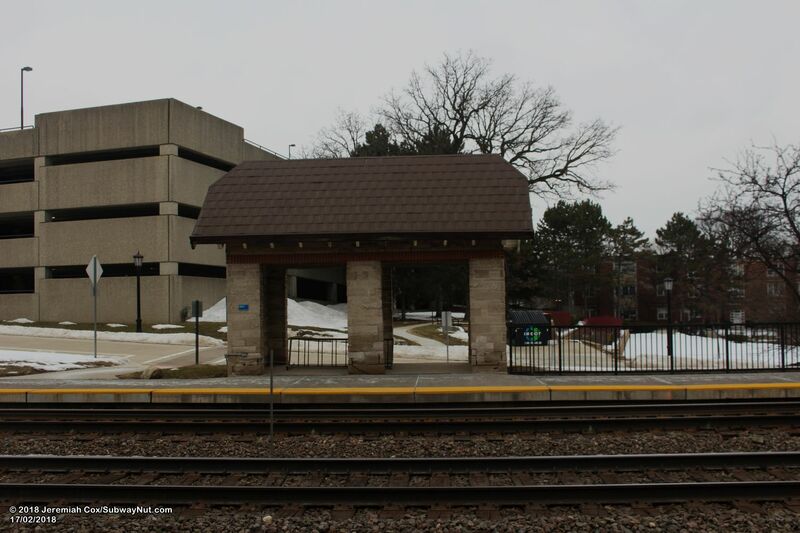 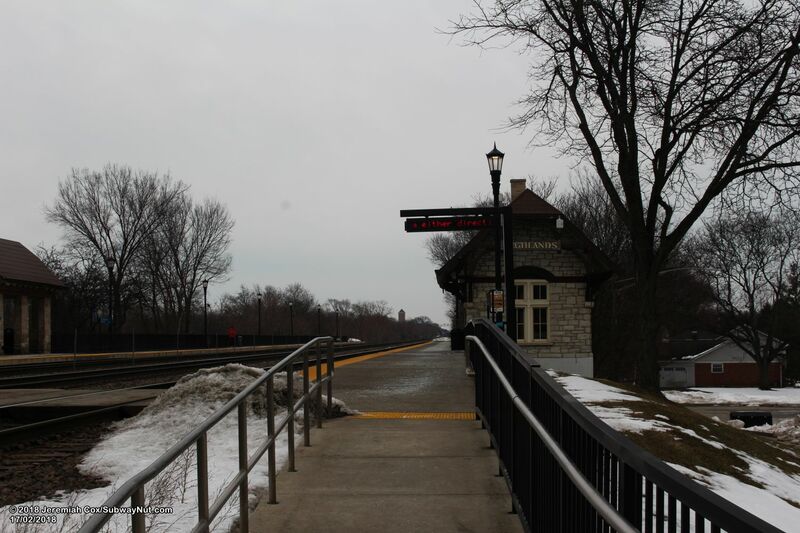 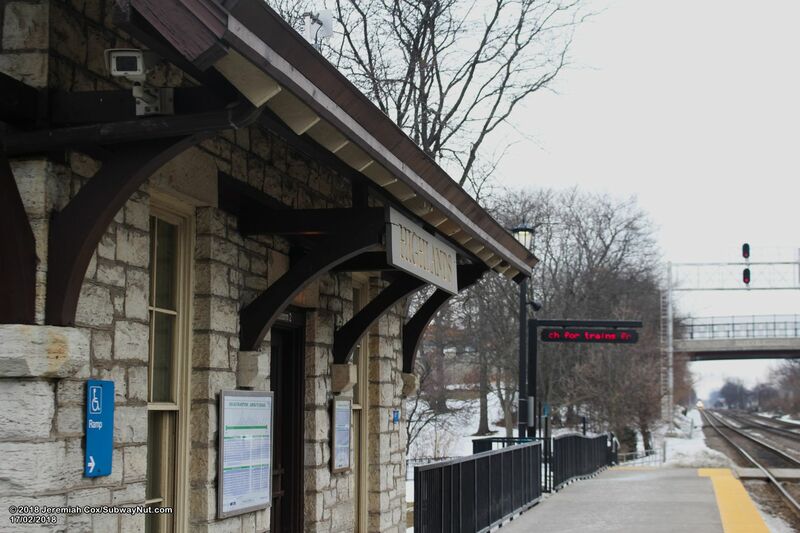 The Inbound platform has direct access via a long ADA compliant path that winds it's way through hilly Highland Park to the extreme western end of the station, and a staircase directly up from the station's 60 space parking lot. 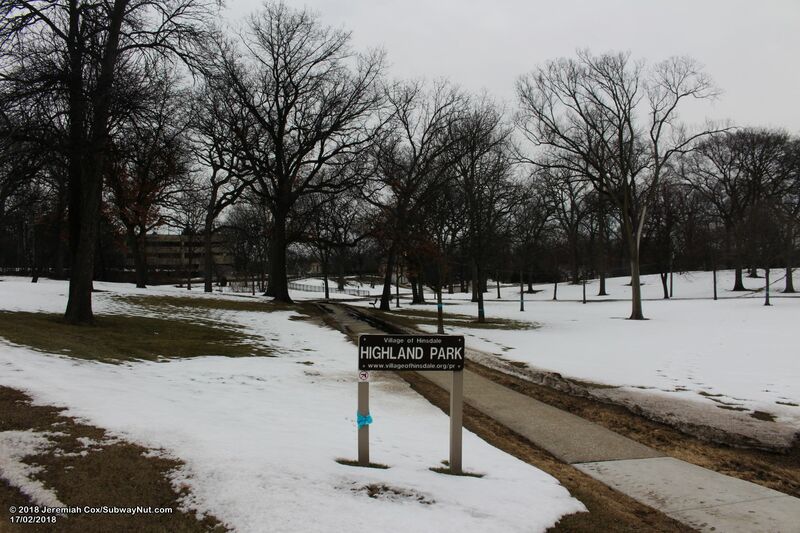 This lot which is accessed at corner of County Line Road and Highland Road. 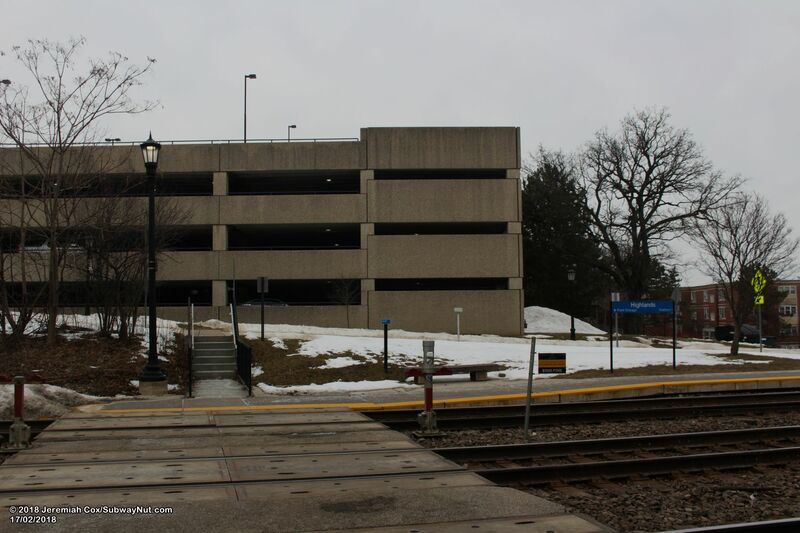 This staircase up from the parking lot is along a two story small stone station building, that is made of stone on the second story (concrete for the first) and has a tall gabled roof and chimney. 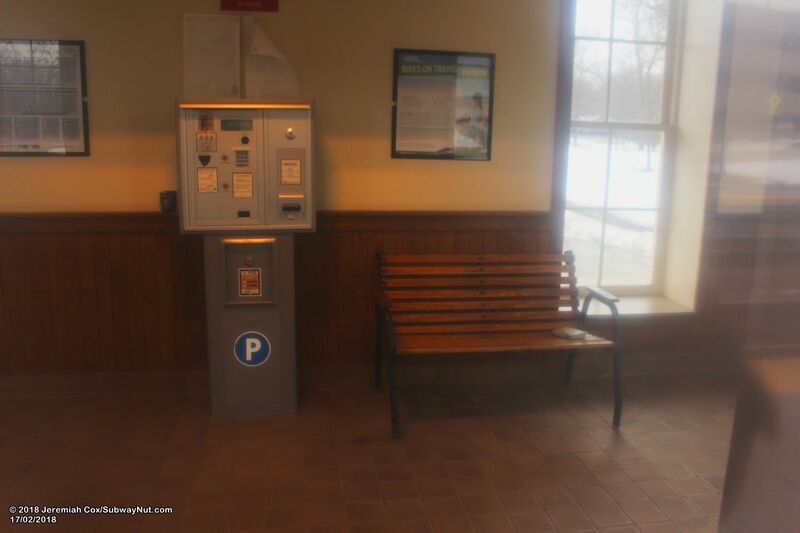 Inside is a small waiting room and pay station for parking.